Put all ingredients into mixer and mix until bound together. Add in the egg and flour and bring the mixture together. Place the sifted flour in a large bowl with the caster sugar. Beat the egg and add to the dry ingredients and bind it together. Place all of the ingredients for the filling into a large saucepan over a medium heat and beat continuously until the mixture has thickened (approx 10 minutes). 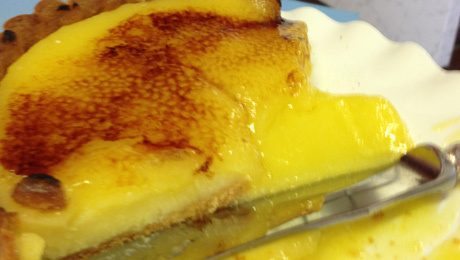 Pour the lemon custard into the prepared tartlet shell and bake in the preheated oven (150C/300F/Gas Mark 2) for 20 minutes. Allow to chill and then dust liberally with icing sugar and using a blowtorch (or under the grill) glaze the tart until caramelised.